With the opioid epidemic and substance use disorders gripping the nation, Penn LDI is collaborating with researchers and policymakers throughout the country to address substance use disorders (SUD). LDI Senior Fellows and staff produce a series of briefs, blogs, and publications, as well as convene key stakeholders all towards the goal of bringing evidence to bear on the fight against addiction. You can see some of our ongoing work and publications below. To see more of our current work click here. Center for Health Economics of Treatment Interventions for Substance Use Disorder, HCV, and HIV (CHERISH), a National Institute on Drug Abuse (NIDA)-funded Center of Excellence. 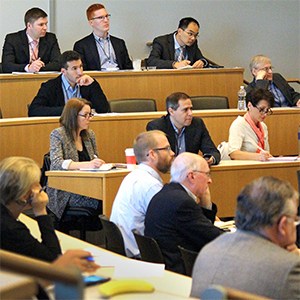 LDI is home to the Dissemination and Policy Core of CHERISH and supports center researchers in employing state-of-the-art dissemination practices to increase visibility and impact of research among policy makers and the public. 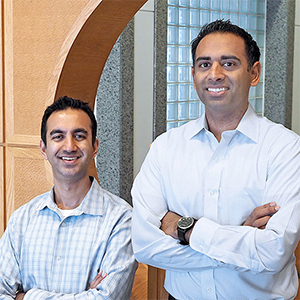 A $600,000 grant awarded to Amol Navathe and Mitesh Patel to study potential ways to reduce physicians’ opioid prescribing using behavioral science. 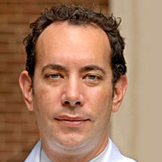 LDI Senior Fellow Zachary Meisel, MD, received a $2.1 million award to fund a comparative effectiveness study of enhanced opioid risk communication strategies for pain management following acute care. This workgroup brings together substance use disorder researchers from various disciplines across Penn to foster dialogue and advance evidence-based approached to address the opioid crisis in Philadelphia. Dr. Perrone's work centers on addressing the prescription drug epidemic and studying the impact of opioid prescribing on patients and the community. She has lectured nationally and internationally and published in NEJM and JAMA on strategies to combat opioid misuse. Interested in learning more about our work, contact Julia Mitchell.